Daniel Hallowell, by all standards, is a tough cookie. Despite growing up in a different foster home every few years and several run-ins with the authorities, he pulled himself up and put himself through college. A few years later, he became a household name as the most wildly successful paranormal investigator that the world had ever known. His success came complete with his own television show and a lucrative contract from the network that owned its rights. With his tight-knit crew in tow, the show would take him around the world to explore and document the most haunted locations the world had to offer. A chance encounter one evening with a stranger in a hotel bar piques Daniel's interest. 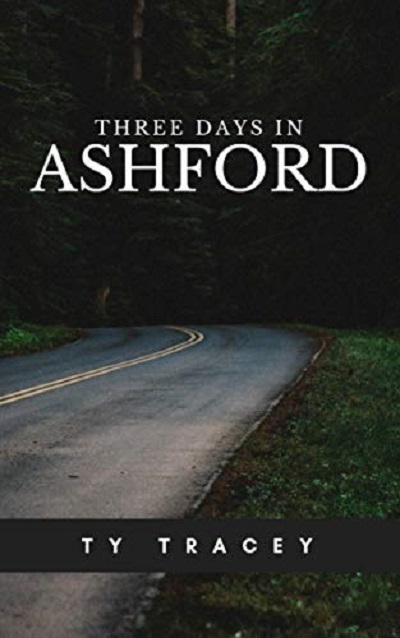 He reluctantly agrees to investigate Ashford—a long abandoned town cut somewhere deep into the Ohio countryside. Having become intrigued by a strangers desperate and terrifying description of a decades-long series of unexplainable events that had taken place there, Daniel and his eclectic crew of paranormal investigators clear their schedule and embark on a trip that they would come to regret for the rest of their lives. As they struggle to unravel the terrifying truth that lies at the heart of the disturbances that plague Ashford, they find that they are being hunted from within the deep, foreboding forests that surround them on every side. As Daniel slides deeper down the rabbit-hole and watches helplessly as his mind and sanity are slowly ripped away, he and his crew must embark on a journey across Ashford, across timelines and within the deep recesses of their own souls to uncover answers they otherwise would have never cared to know. Answers that will only serve to question the very psychological, physical, theological and philosophical meaning of our existence as a species. However difficult to stomach, the only way to save themselves from the unimaginably savage force that threatens, not only their lives, but the very existence of humanity, is to decipher the riddle that haunts Ashford. The town that Satan calls home. Well, wow. I think this is the review that, so far, has taken me the longest to write. There are so many things to say about this book. I'll start making clear that I had never heard of TY Tracey until I purchased this book, well, this absolutely MUST change to future readers. The complexity and layers conforming this book make very difficult for me to "summarise" why I loved it, several times. I think the best way for me to express is to describe, point by point, WHY it is different and to me, a must-read. One, of course, the writing. Tracey develops several "description scenes" along the book, but they are accurate, without being too long and exhausting. That is a skill. His work is clean, clear, very easy to read and fly pages. Two, the paranormal evidence hunter teams are something several of us are interested in. The realism and care he manages the information with, show a deep work in research and investigation. And the way he turns their "arrogance" into a dose of reality is greatly appreciated. Three, a town you cannot leave. The fear you feel reading this book reminded me to the one I felt watching "The Blair Witch Project", honestly. Four, demons. I am myself, very interested in demonology. Tracey doesn't mention it, he dives into it, soaks your thoughts, pulls you out and grabs you —"You okay? Let's get going". Horrific creatures. Did you say "nightmare"? I can tell you I'm going to draw those "melon-heads". Five, Heaven and Hell don't exist anymore. Behind them, there's something much deeper, spiritual and... monstrously beautiful? Beautiful... but above all, intense. Beyond measure. I think my review is being nonsense enough for you to understand how I did enjoy this book. If you look for an author that pours his gifted intelligence into his writing, this is your book. Petrifying, sensorial, addictive. Just picture me cooking with one hand and holding the ebook with the other because I just can't leave it. I'm gore-proof. The only horror books that affect me are those which make me re-ask myself my own beliefs and vision of death. Those which disturb my sleep with questions and worry. TY Tracey does. If you are looking for a good book, don't hesitate. This author has a lot of nightmare material to share with you and not let you go in... do you believe in eternity? You better do. Congratulations. I honestly, deeply enjoyed this book. So much. Thank you.